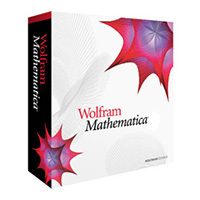 Mathematica is a computational software program used in areas of technical computing. The program is split into two parts, the kernel and the front end. The kernel interprets expressions and returns result expression. The Front End allows for the creation and editing of Notebook Documents, the contents can be generated algorithmically or interactively edited. Students, Faculty & Staff : The University has entered into a site license with Wolfram Research for the use of Mathematica. The software will be available to the University community for the duration of that agreement.